This chapel was built (by the Wesleyan Methodists) in St. Mary's Steps in 1832. The building was sold to the Primitive Methodist Church in 1854 (just after the Wesleyans had built their new chapel in Cartway in 1853). This chapel closed in 1933 and has now been converted to a dwelling. For a view of the chapel, click here. 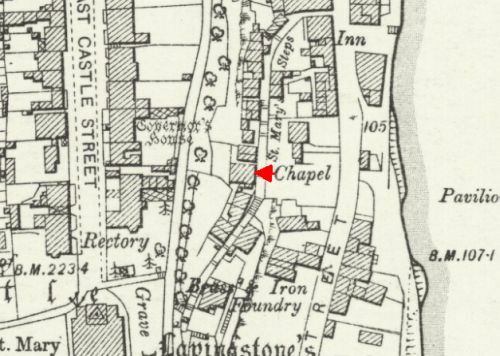 To return to the picture of the 1853 chapel, click here.